The equinox is almost here, and the developers at Niantic plan to celebrate with a special egg-themed Pokemon GO event. Starting September 22nd, trainers can participate in a limited time equinox event that offers special Pokemon Eggs. These Eggs look like any regular green 2KM Egg and can be found at Pokestops and Gyms, but instead of hatching common Pokemon like Krabby and Geodude, these special Eggs will contain rare Pokemon such as Mareep, Chansey, and Larvitar. Furthermore, the event will grant all trainers double Stardust for catching Pokemon and hatching Eggs, which means players could potentially obtain enough Stardust to choke a Wailord. But, the event doesn’t stop at Eggs and Stardust. Any new Pokemon registered to a Pokedex will give triple XP, and the in-game shop will sell special boxes filled with items designed to help trainers maximize XP and Stardust gains, such as Lucky Eggs, Lure Modules, and a Super Incubator that hatches Eggs at 1.5 times the normal rate. Finally, Entei, Suicune, and Raikou will travel to new locations during the event on September 30th, so trainers who haven’t caught one yet should redouble their efforts. Trainers have come to expect XP and Stardust boosts from Pokemon GO events, but hiding rare Pokemon in green 2KM Eggs is a welcome addition. Granted, in the past Niantic has changed which Pokemon appeared in specific Eggs, but the devs just removed certain Pokemon from the list (i.e., Bulbasaur, Pidgey, and several other Gen 1 Pokemon) or moved Pokemon up or down one Egg tier (e.g., Porygon moved from the orange 5KM Eggs to the blue 10KM Eggs). 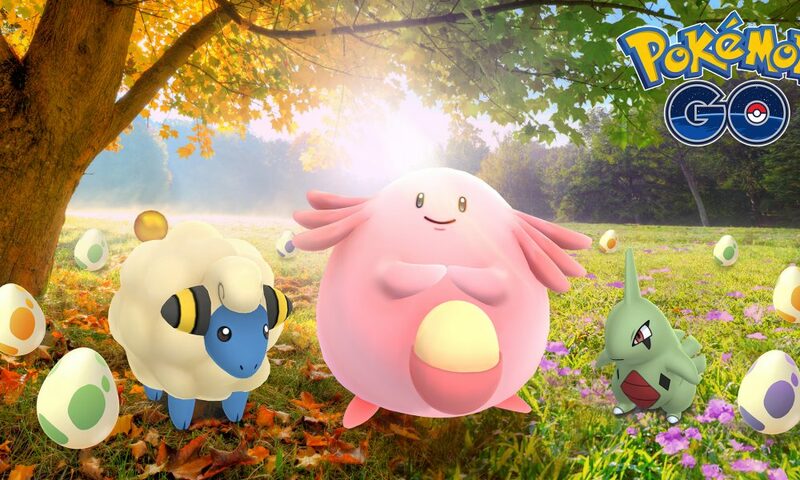 Rare Pokemon such as Chansey and Larvitar have always remained in the blue 10KM Egg category because of their strength, which is why the ability to obtain these powerhouses in green 2KM Eggs is such as boon, especially to trainers who have yet to level up, evolve, or even catch these rare Pokemon. The Pokemon GO equinox event will only last until October 2nd, so trainers who have yet to obtain a Tyranitar or Ampharos might want to get out there and start hatching those Eggs.